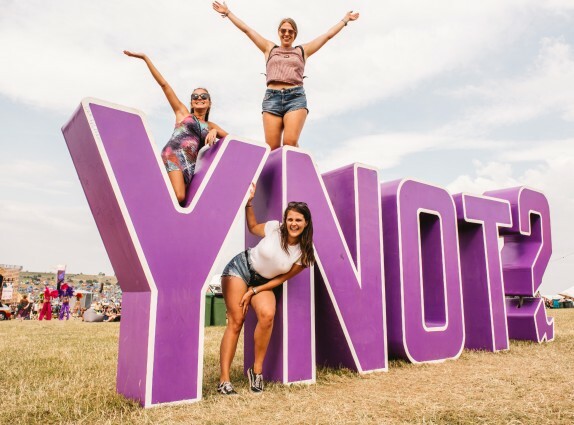 Y Not Festival, The UK's bggest indie festival has released details of the first wave of artists heading for the Peak District between Thursday 25th - Sunday 28th July. Crossing the Peaks to kick things off are local legends, Elbow. The critically-lauded Mancunian band, lead by frontman Guy Garvey, are known for their beautifully soaring anthems such as ‘One Day Like This’. 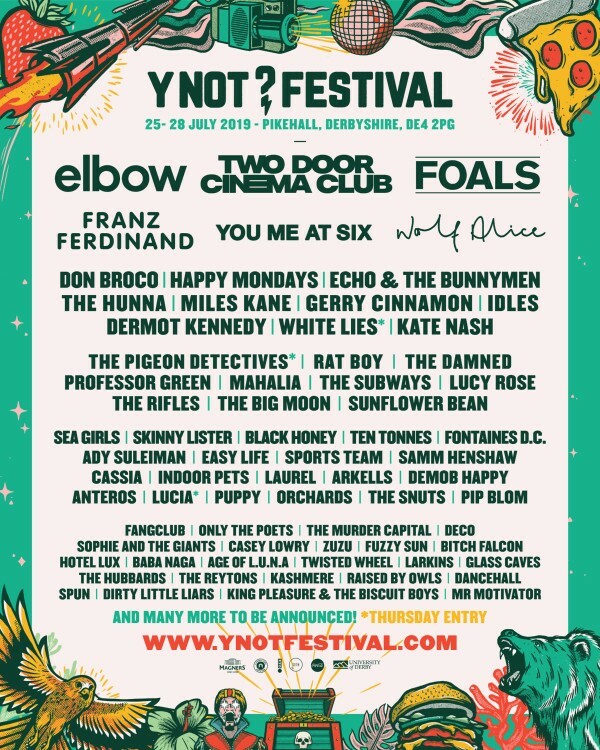 Returning to the spotlight - rock heroes Foals will be finishing an unbelievable weekend of music, choosing Y Not to play as part of their limited run of UK shows in 2019. This year sees them release two albums, with the first arriving on March 8th and part 2 in the autumn. ‘Exits’, the first single from their upcoming twin albums, Everything Saved Will Not Be Lost. Elsewhere on the bill, Wolf Alice are making their Y Not debut after a huge Grammy-nominated first album and Mercury Prize-winning second. Then there’s indie royalty in the form of Franz Ferdinand, ever-evolving pop-punk heroes You Me At Six, Salford legends Happy Mondays and band of the hour, IDLES. Other artists added to the line up include: White Lies, Don Brocco, Gerry Cinnamon, Miles Kane, The Hunna, Professor Green, Rat Boy, Kate Nash, Pigeon Detectives, The Big Moon, The Rifles, The Damned, Skinny Lister, Fontaines D.C and many more. “After an amazing 2018 festival, we’re so happy to have a 2019 line-up bursting at the seams. We’ve got a huge mix of new and old faces to the Derbyshire Dales, with massive returns from classic bands such as White Lies, plsu the huge welcomes to the UK’s hottest emerging stars like Idles and Mahalia. Not forgetting 3 huge headliners".